Here's a select sample of events of interest here in Colorful Colorado, all coming up in the next few weeks. Book signings and a book festival. Student activist reminiscences and far out art. A dance and a fiesta. Put on your clean blouse, your ironed shirt, your good chanclas. Run a brush through your remaining hair. Mingle with the masses. It's good for the soul, good for the blood. 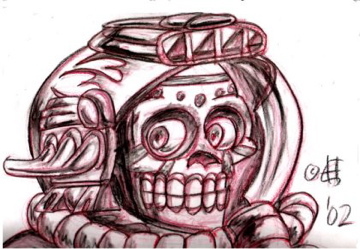 Satellite images captured by Lockheed Martin Space System Company will be presented alongside the Codex Borgia, an ancient Aztec manuscript containing their interpretation of the cosmos. Contributors such as Miguel Angel Sanchez Moreiro (whose reproductions of the original Codex Borgia will be on display), NASA, Lockheed Martin Space System Company, and Denver Museum of Nature and Science, come together to share a unique interpretation of the universe’s narrative through technology and the human eye. The opening reception will take place at Museo de las Americas at 861 Santa Fe Drive on Thursday, September 13 from 6 – 9 pm, followed by a lecture with scientists Dr. Peter Burns and Carlos Gonzalez of Lockheed Martin on Friday, September 14, 2018 from 6 – 8 pm. El Infinito is included in the cost of a general admission ticket: $8 adults, $5 students/seniors 65+, children 12 and under are free. 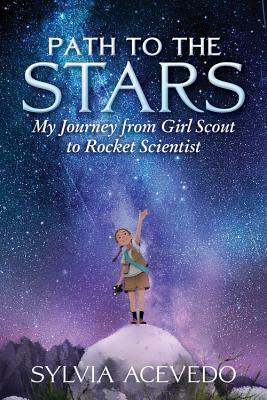 Sylvia Acevedo will discuss and sign Path to the Stars: My Journey from Girl Scout to Rocket Scientist ($17.99 Clarion Books), her inspiring memoir for young readers about a Latina rocket scientist whose early life was transformed by joining the Girl Scouts and who currently serves as CEO of the Girl Scouts of the USA. A meningitis outbreak in their underprivileged neighborhood left Sylvia's family forever altered. As she struggled in the aftermath of loss, young Sylvia's life transformed when she joined The Girl Scouts. 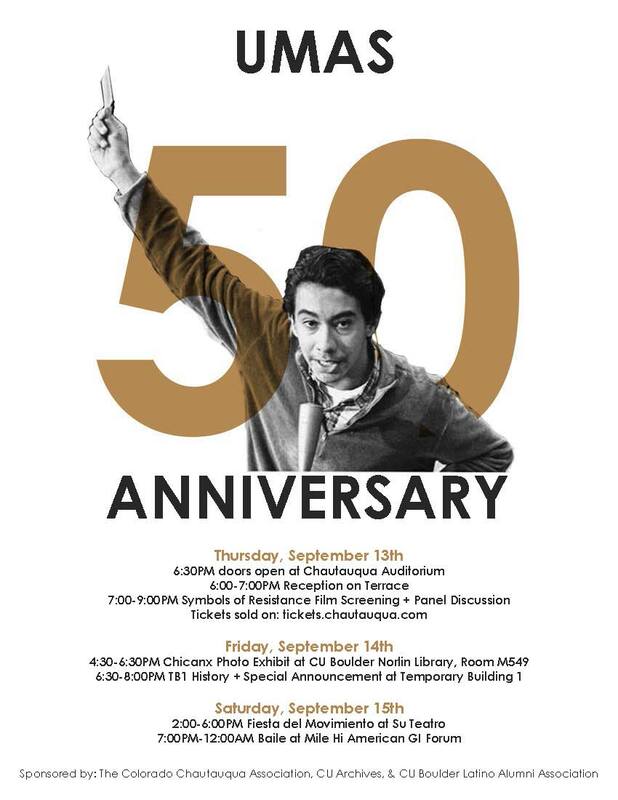 Pueblo, Colo. — Pueblo City-County Library District, in partnership with CSU-Pueblo’s Chicano Studies and English Departments and MSU Denver Journey Through Our Heritage, announces the 5th Annual Latina/Latino Book Festival to promote growth in literacy, writing, and publishing. Kathy Cano-Murillo is an author, artist, and founder of the award-winning brand, Crafty Chica. She spreads the gospel of glitter – literally through her DIY projects and figuratively through her speeches, workshops, books, and essays. A former syndicated columnist for The Arizona Republic, she is now a full-time creativepreneur, which has led to multiple Crafty Chica mass retail product lines, and partnerships with Coca-Cola, HSN, HP, WordPress, Disney, and many others. She has authored seven craft books and two novels, and has been featured in The New York Times, USA Today, Huffington Post, Buzzfeed, and more. Kathy is Mexican-American, a native Phoenician, mom of two, a wife, and owner of five Chihuahuas. Matt de la Peña is the New York Times bestselling, Newbery Medal winning, author of six young adult novels (including Mexican WhiteBoy, We Were Here, and The Living) and four picture books (including Last Stop on Market Street and Love). Matt received his MFA in creative writing from San Diego State University and his BA from the University of the Pacific, where he attended school on a full athletic scholarship for basketball. de la Peña currently lives in Brooklyn, NY with his family. He teaches creative writing and visits high schools and colleges throughout the country. This is the sixth book in the Tummy Tales series, Biscochitos follows other Tummy Tales books, including Holy Mole Guacamole & Other Tummy Tales (1996, received an award from the Colorado Council on the Arts and Humanities), Pinch A Lotta Enchiladas & Other Tummy Tales (2002, from which the title story was selected from 3,000 entries nationwide to be in Chicken Soup For the Latino Soul), Chili Today, Hot Tamale & Other Tummy Tales (2005), Ole Posole & Other Tummy Tales (2006), and Frijoles, Elotes, y Chipotles, Oh My! & Other Tummy Tales (2016). The latest addition to the series, Biscochitos for Mis Jitos and Other Tummy Tales (2018) is a collection of stories from some of the Southwest’s best storytellers and authors. 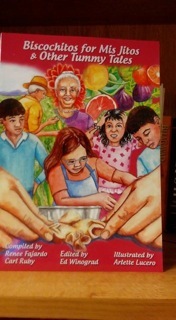 The multi-cultural stories in the book are traditional family food tales, complete with recipes, and a lot of humor. The stories and recipes represent the numerous ethnic influences throughout the Southwest. Food recipes featured in the book include everything from biscochitos to apple pandowdy to potato latkes to chili guiso. Authors include Carl Ruby, “Mr. Origami”; Renee Fajardo of MSU Denver; Lois Burrell, African American storyteller; Geneva Escobedo, Arizona author of Dichos de mi Padre; Rita Flores Wallace, Mexican folklorist; Sondra Singer, storyteller and folk musician; Jane Treat, author of Women & Middlehood: Halfway Up the Mountain; and eight others. Illustrated by famed Chicana artist Arlette Lucero and edited by Ed Winograd, prolific editor and Spanish/English translator, the new book is a delight for old and young alike. The two-day festival takes place Wednesday Sept. 12 and Thursday Sept. 13, 2018 at the Pueblo City-County Library District Central Library, Rawlings Branch- 100 E. Abriendo Ave. in Pueblo. All events scheduled are free and open to the public and will include a biscochito tasting contest. The Almagre Review/La Revista Almagre, recently published Issue 5, Race-Class-Gender. The Review is put together in Colorado Springs by Joe Barrera, Publisher/Editor. 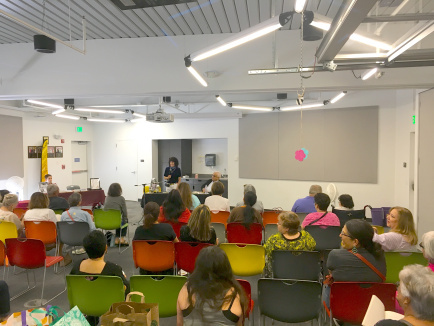 Among the contributors to the issue are Karen D. Gonzales, City Coordinator for The Denver Network of Las Comadres & Friends National Latino Book Club in Denver, and Michael Pacheco. Karen's piece is entitled Finding the Lady Llorona, while Michael's is La Paloma. Congrats to Karen, Michael, and Joe. Issue 5: Race*Class*Gender is available and we’ve had a lot of interest. Thank you to everyone who has supported this edition and our journal throughout. We are forever indebted. The stories and poems in issue 5 are engaging, provocative, and rewarding. It can be picked up here on our website; or locations around town (Colorado Springs): Hooked on Books, Poor Richard’s, Ranch Foods Direct, and Books For You. We want to let everyone know that our next issue, the winter release, will be built around veterans. We want stories, (fiction, essays, and memoirs), as well as poems, by the women and men who have served. If you have not, that is fine as well. Many of us were raised by members of the military community, or we married into it. The civilian life in consort with those who have served completes the full picture. Send us your work, we await eagerly the honor of reading your experience. Karen D. Gonzales reading her story at the Rodolfo Corky Gonzales Library. 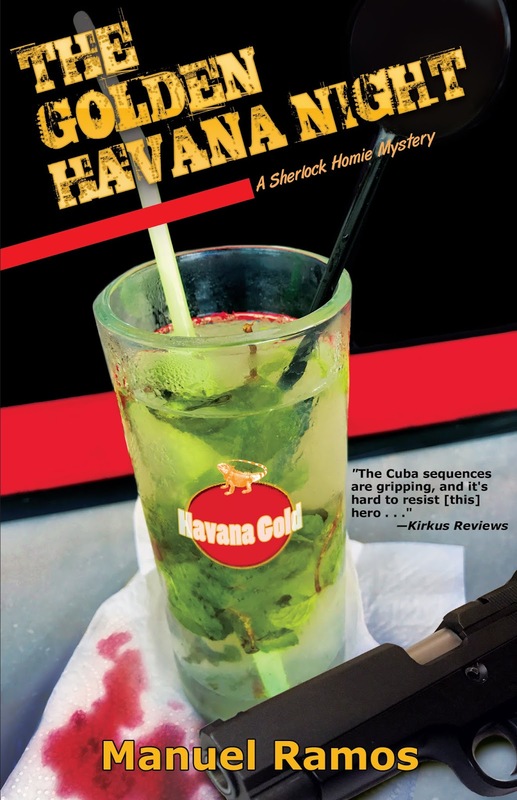 Manuel Ramos writes crime fiction. 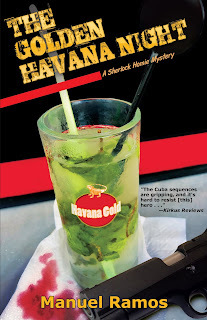 His newest book is The Golden Havana Night. Tattered Cover (Colfax), October 22 at 7:00 p.m. Things aren't going well at home, either: Merci’s grandfather and most trusted ally, Lolo, has been acting strangely lately — forgetting important things, falling from his bike, and getting angry over nothing. 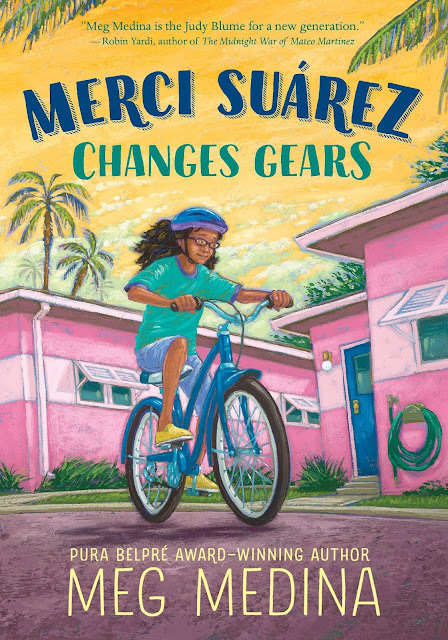 No one in her family will tell Merci what's going on, so she’s left to her own worries, while also feeling all on her own at school. In a coming-of-age tale full of humor and wisdom, award-winning author Meg Medina gets to the heart of the confusion and constant change that defines middle school — and the steadfast connection that defines family.